There’s no fabric more crucial to our wardrobes than denim. Whether we’re getting ready for weekend brunch or putting together the perfect casual Friday outfit, denim is essentially always incorporated in some shape or form. 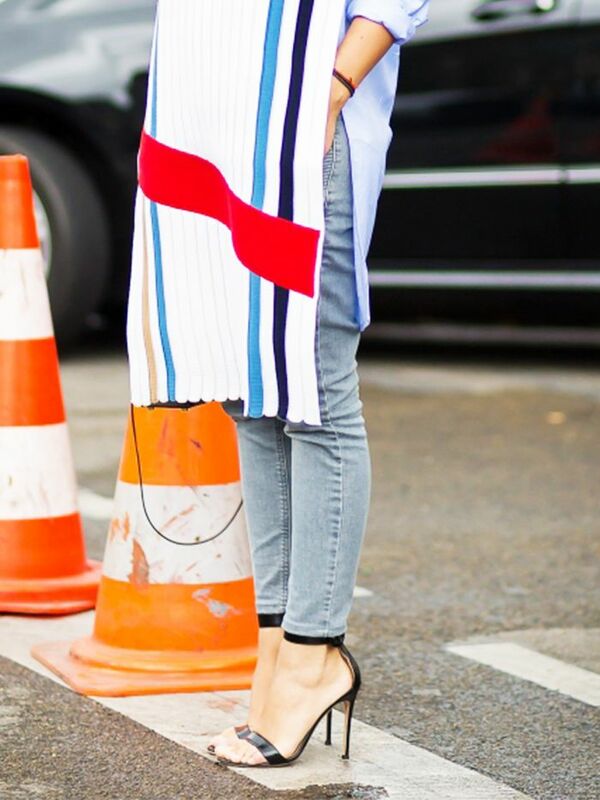 But what denim pieces should you have in your arsenal to ensure your closet is ready for anything? FYI, we're talking beyond skinny jeans and the classic denim jacket (which we know you already have). Well, we tapped Natalie Kingham, buying director at MatchesFashion.com, to spill on the five denim pieces every woman needs in her wardrobe this season. Keep scrolling to learn more and see if you already own these musts. Plus, shop some of the best denim pieces of the moment too. "A staple for any wardrobe—wear now with crisp white cotton shorts for an easy high summer look, and when the weather starts to cool, pair with some wide-leg high-waisted trousers." "High-waisted skirts are perfect for a modern and chic take on workwear this summer—pair with some wooden-soled platforms and a striped cotton shirt." "The original workwear staple—channel the ’70s trend seen across the catwalks and wear the dark blue denim jumpsuit (below) with a tan leather crossbody bag and clogs for that effortless-chic aesthetic." "This clutch below is the perfect goes-with-everything piece for any outfit, any time of day—I would suggest always keeping it on hand for any last-minute evening engagements this summer." "Embroidered jeans are great for that luxe-boho vibe, which is very key this season. They can also be worn from day to night with a white T-shirt and sandals for day and a blazer and heels for the evening—they'll see you through the summer into autumn." What's your favorite denim piece? Let us know in the comments below!